Award-winning and premier regional technology leader Epic Lanka Ltd. has announced a strategic partnership with VisionFund Lanka (VFL), the local subsidiary of global microfinance giant VisionFund International, to deliver a state-of-the-art digital mobile branchless banker platform to enhance its distribution of services in Sri Lanka’s microfinance sector. The landmark partnership will enable VisionFund Lanka to benefit from robust features that the Epic Mobile Branchless Banker module delivers by creating a digital banking touch-point at the field-level on a smart device. This mobile platform enables VFL to significantly expand their last-mile reach and deliver service excellence to their customers at their door-step, while delivering a lower cost of ownership by utilising non-proprietary Android devices that are freely available in the market. Amongst the many features the Mobile Branchless Banker offers, the platform enables VFL agents to perform loan collections from clusters, mark attendance of groups, generate a physical receipt at the completion of a transaction as well as perform online account opening for new customers. Importantly, the online and offline modality embedded in the application enables agents to operate in areas with low or no mobile coverage without affecting their service delivery. The platform includes the time-tested Epic Omni Channel Synchroniser for back-end interfacing and switching which provides VFL the ability to scale their front-end service delivery channels to include additional services such as mobile POS, mobile banking, e-Wallets, etc. without having to incur any back-end re-integration effort or costs. This form of future-friendly evolutionary technology empowers VFL to determine business opportunities without being hampered by technological restrictions. The entire platform communication channel is secured with government grade encryption to ensure the privacy, authenticity and integrity of the sensitive information exchanged and is fully compliant with Central Bank of Sri Lanka guidelines for payment security standard for mobile applications. 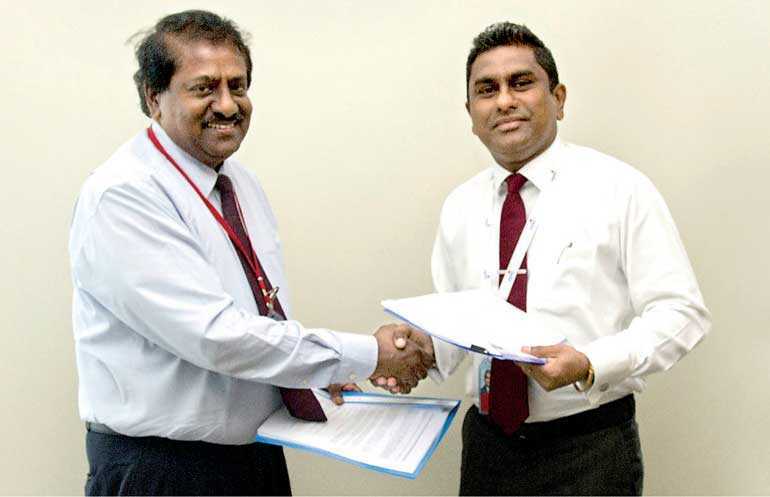 “Local companies in the financial services industry have realised significant benefits of working with Epic Lanka and we see huge opportunities for microfinance sector to become customer-centric, improve the customer experience and at the same time significantly improving operating efficiency,” Jebaratnam further stated.